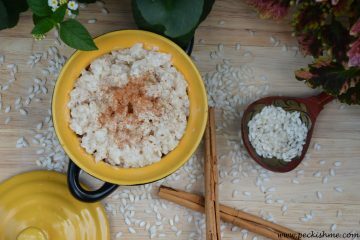 Yes another rice recipe. I’m into the carbs these days. I have ranted and raved about our brief encounter with Spain. 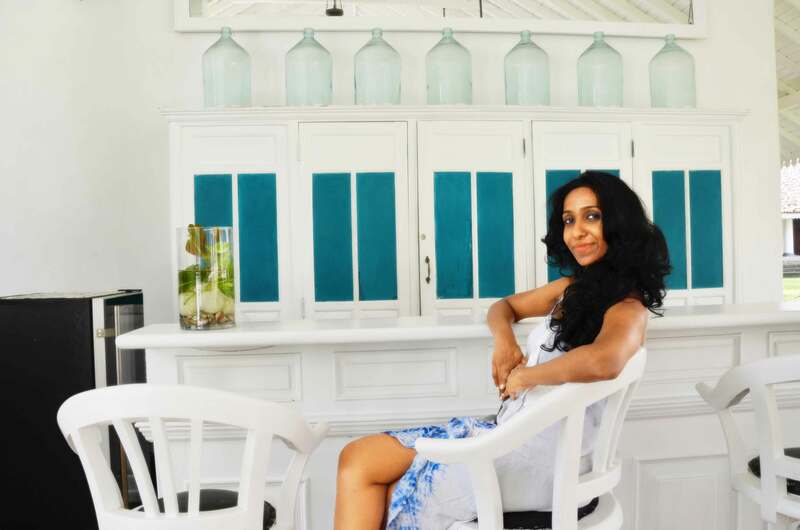 I fell in love with its people, its vibrant cuisine and even posted a recipe for the famous Sangria, the nation’s delicious fruity drink. One of the most beautiful memories ingrained in my mind about Spain is sitting at a charming roadside bistro and digging into a ginormous pan of paella with the ravenous hubby creature by my side. 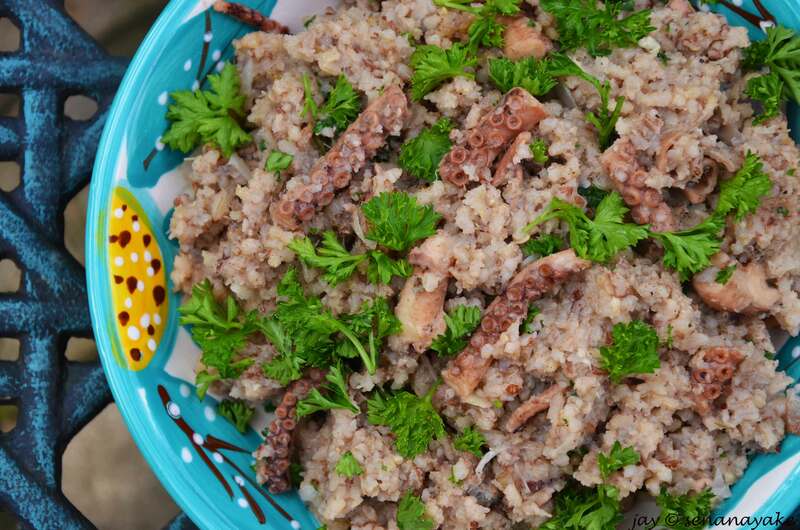 The fragrant, flavorsome rice pearls cooked to al dente with succulent prawns, juicy clams, the chunky calamari rings and the little morsels of chicken leg meat in bone, it truly is a delicious treat. The paella is said to be the amalgamation of 2 cultures – the Romans who brought the pan and the Arabs who brought the rice. There is a theory that Paella originated from how the servants of old Moorish kings would place all the leftovers from royal banquets in pots to take home and that ‘paella’ originates from the Arabic word “baqiyah” which means leftovers. However, the term ‘Paella’ refers to the flat, thin bottomed pan that the rice is cooked in and this is how this exquisite dish came to be. This is a convenient dish that was prepared time and time again over an open fire for the purpose of feeding the farmers who worked the fields. They threw in everything that they had in hand, snails and rabbits being the most common. Chicken was rare luxury reserved for special occasions. 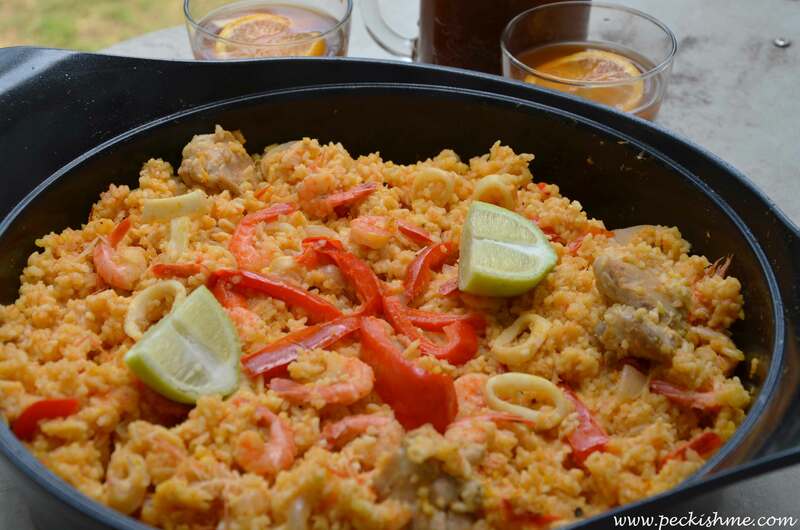 Paella is a natural dish to Spain which grows its own rice and meat and seafood is abundant within its womb. Originating from Valencia, the pan in which the paella is cooked is rather unique to the dish itself. While the size of the pan varies from anywhere between 12 inches in diameter to several feet, the depth of the pan rarely ever changes. As the Spanish say, the pan should be about deep as the first joint of the thumb so that the rice is exposed to maximum contact with the base of the pan, therefore allowing the creation of the most seductive part of the paella – the socarrat, the crusty layer of rice that is left at the bottom of the pan. The best paella as the Spanish believe is one that is never stirred but cooked over a high, open fire. Due to the lack of slow burning firewood in the Mediterranean, they are rather popular for the art of frying as the acidity content in the firewood is rather high and the fire that they create is very hot. 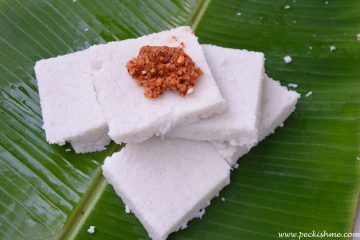 Bomba rice is the most popular form of rice used for this dish while other small rounded medium size grains that absorb liquids well are also used or the purpose. 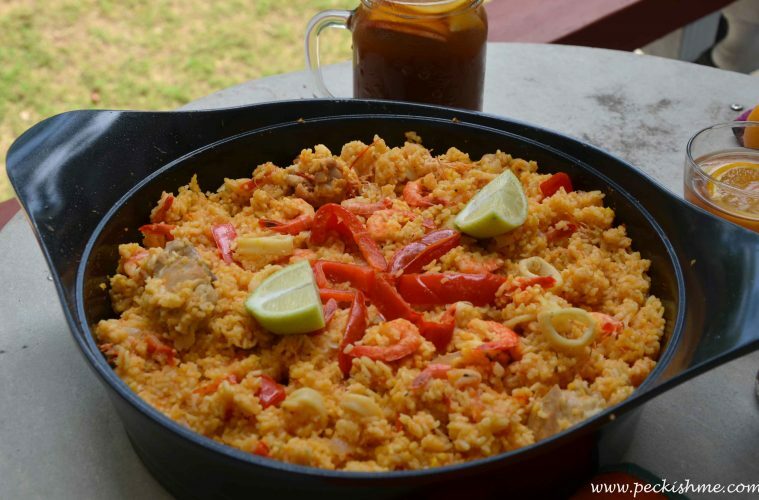 The additions to paella vary too according to the region in which it is made. 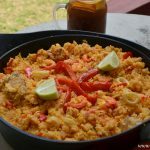 While some Spanish consider the addition of seafood as paella sacrilege, others just go along with whatever is commonly used in their region. Rabbit, chicken, chorizo and snail are considered as the “traditional” additions while the most common variation (perhaps the adulterated one) is with seafood (I actually love the seafood). Seafood can be anything between prawns, calamari, mussels, crab or lobster. 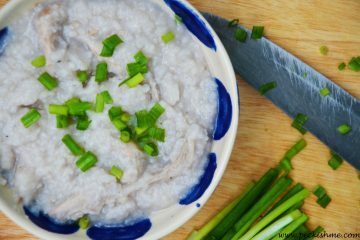 However, the main focus of the dish is rice and the rest is simply considered as noise. Garlic is a must in this dish and so are onions. It is upon these bases that the flavor develops. Red bell peppers are also used along with smoked red paprika. Saffron is an integral part of the paella as well which not only lends its colour, but also gives it an earthy, delightful flavour. Some even use various types of beans including green peas which provide texture and colour. 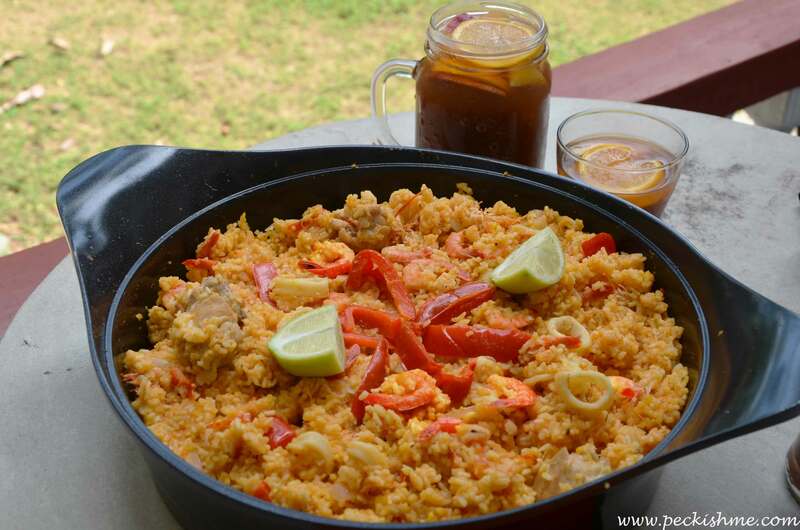 Paella is typically served with lemon wedges which also heighten the flavour. Paella is essentially a communal dish and is traditionally eaten from the same dish and not in individual plates. One works their way from the outside rim towards the middle. This prevents the rice from being too agitated as it is important for a paella to maintain its texture even while it is being consumed. 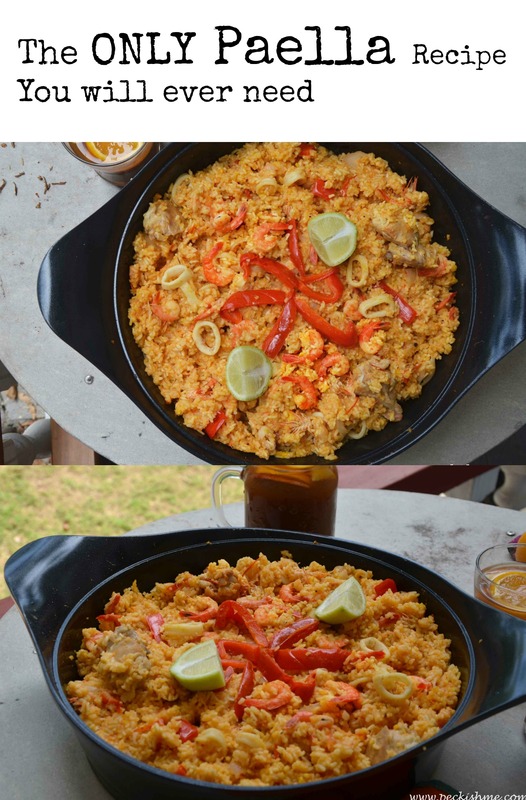 My favourite however, is the paella that is made with seafood AND chicken both. 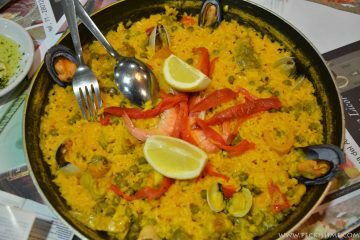 While the paella varies from region to region and village to village, the ones we tasted while in Spain had always been a mixture of both chicken and seafood. While paella is not known to have a set recipe per say, this is me trying to recreate the paella that we so greedily gobbled up while in Spain. Add the chicken seasoning ingredients to the chicken, mix well as set aside to marinade in a refrigerator for about 1 hour. Heat about 2 tblsps of olive oil in the paella pan. Brown the chicken and set aside. In the same pan, sauté the garlic and the onion until soft. Add in the tomatoes and then the cubed red pepper. Cook until the flavours merge together and slightly caramelizes. Add in salt, pepper and smoked paprika. Fold in the rice and mix well to coat. Pour in the water and the stock and cook for about 10 minutes. Add the saffron threads and the chicken and mix without disturbing the dish much. Tuck in the seafood and red peppers. Give the paella a good shake and simmer until the rice is al dente. In the end, turn up the heat for about 40 minutes and you should smell the rice roasting at the bottom of the pan. That is your soccarat in the making. Serve with lemon wedges while hot! 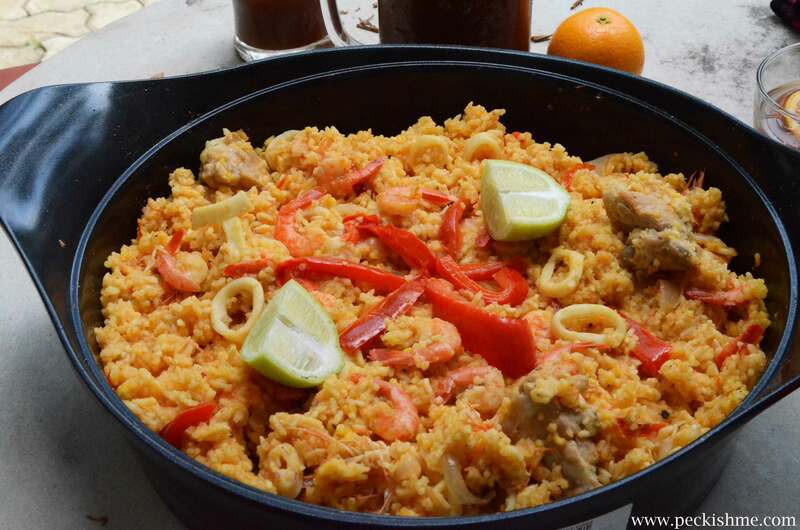 Moist, fluffy rice, dotted with morsels of chicken, shrimp, calamari and clams this brings together the taste of the sea and the land. 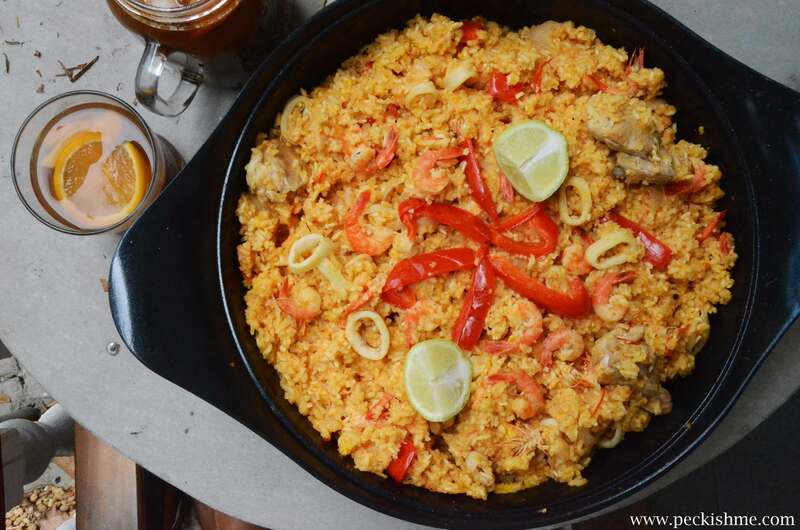 the rice perfumed with paprika, saffron and chicken is a delight to tuck into and instantly warms you up from within while the tidbits of chicken, flavorsome shrimp and buttery calamari surprises you with bursts of flavour at every turn. There is a slight whiff of oregano that permeates the senses while the saffron, earthy and laden is forever present in the background, playing a delicate tune for the other ingredients to play. 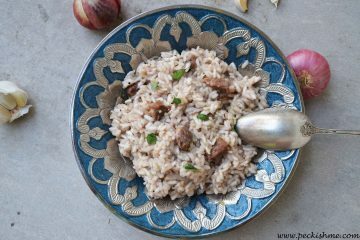 The soccarat is lovely and toasty and contradicts well with the al dente rice, providing a flavor blast all the way from the bottom of the pan. 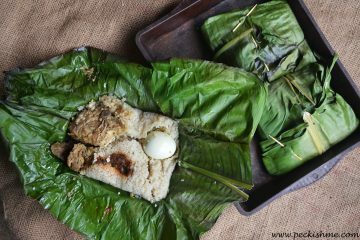 Bits of crusty rice, soft, fluffy rice, moist and buttery seafood, gamey and juicy chicken, this is comfort food in a pan. 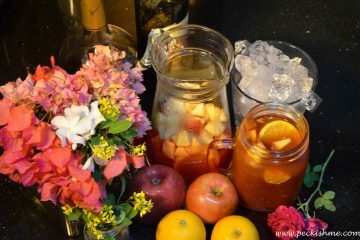 We sat around the table digging into this beautiful mess of flavors and ingredients sipping on large freshly made jars of Sangria. I recommend you to try it too. Don’t stir! Whatever you do, keep the stirring to the minimal. This prevents the rice from developing starches and keeps it from getting gluggy. Also, stirring prevents the soccarat from forming and you don’t want to miss that! You can customize this dish of course. Add in some beans, green beans or large white beans to diversify the dish. I of course am not a huge fan or beans and therefore have made my paella bean free. I could not find a proper paella pan. But don’t fret, any shallow, flat-bottomed pan will do.